Well, it has happened once again. Another storm of U.S. media reports decrying the epidemic of ADHD, and the reckless use of medication to treat it. The reports are based on new data (but not necessarily new insights) provided by the U.S. Centers for Disease Control and Prevention, which, among other things, show that 11% of American children and adolescents are diagnosed with ADHD, and of that group, two-thirds are medicated. When the data are examined more closely, 7% of girls, and 15% of boys between the ages of 4 and 17 receive the diagnosis. Of course the diagnosis varies according to specific age group, and a whopping 18% of boys between the ages of 10 and 13, and 20% of boys between the ages of 14 and 17 are given an ADHD diagnosis. Arguably, this gender discrepancy is the consequence of a cultural and educational tendency to be intolerant of the natural disposition of boys. It’s not just that these CDC facts are astonishing and worrisome. It’s that they have been presented in articles and television reports across the United States, as a sign of a society in decline. Indeed, the New York Times made the report front-page material, and the article has proven to be one of the newspaper’s most widely read articles of the past week. On television, Joe Scarborough, the primary pundit of MSNBC’s Morning Joe, has reviewed the report as proof of what he claims to have always known. Scarborough, echoing the tone of many smug media populists, is only too happy to share his wisdom and common sense, including his awareness that medical treatment of ADHD has been askew for many years, and that his good sense was the only reason that members of his own family were spared. Let’s be clear, saying that you believe children are over-medicated takes zero courage. Everyone would like to see children taking less medication. The question is how to achieve this without giving up the manic pursuit of peak performance? Without requiring schools and the protocols of the school day to become substantially more flexible? Without fetishizing admission into an Ivy-League school? 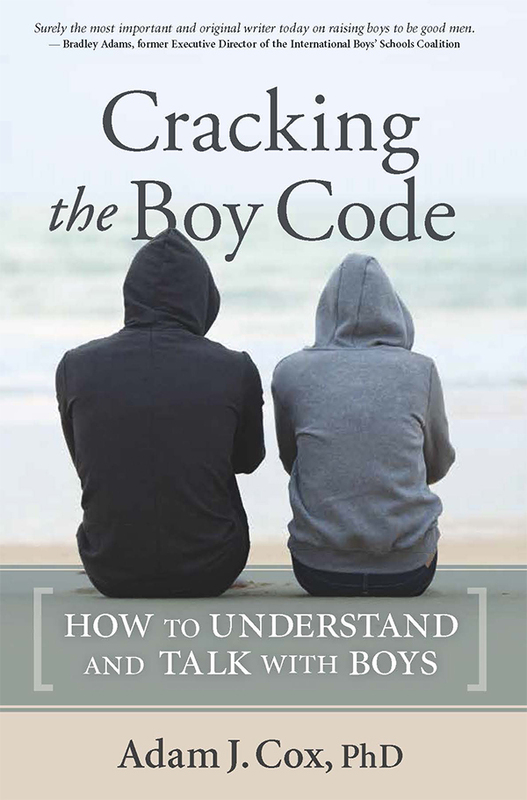 Without confronting our cultural resentment of boys? In true media fashion, only days after the CDC report appeared, other reporting emerged about children and families, adding to the cacophony of confusion and angst. For example, last week’s New York Times features a report on academic test preparation centers in and around New York City. According to the report, in years past, the primary consumers for such preparation were limited to smaller ethnic communities focused on the upward mobility of their kids. Now, however, a much more inclusive set of families has become fixated on test preparation. The message here is that all families are concerned about getting their children into the best schools, and are willing to do whatever it takes to achieve that goal. Perhaps this is neither surprising, or particularly concerning. Yet the juxtaposition of such articles has a dizzying effect. What are good, morally conscious parents supposed to do? Should we back off the medication and let kids be kids, or should we hurry to the closest test preparation center so that an 11 year-old doesn’t miss the chance for admission to an elite middle school? For many families such consideration is not trivial, given the alternatives and consequences. One reason we have an ADHD epidemic is that many adolescents falsely report symptoms to family physicians in the hope of getting prescriptions that will boost their school performance. Do you see the circularity here? Is there something slightly wrong about a major publications such as the New York Times reporting one day that we have a crisis with respect to the diagnosis of ADHD, and just several days latter later reporting a story that underlines the importance of pursuing test preparation? Have we not collectively agreed that high SAT’s are the measure of a teen’s accomplishment -and by extension, of his or her family and school? No pressure, of course! The media generally like to assert a position of objectivity – “these are just the facts.” But context, and the narrative that is formed by a progression of stories over days has its own meaning, and might certainly bias readers one way or the other. In my view, the primary goal for any media outlet is that of commanding attention for as long as possible. If this means a steady stream of reports which confuse and, on some level, contradict one another with respect to their moral position, that’s okay – as long as people keep reading. Some would argue that there’s no such thing as a moral position when it comes to journalism. But that perspective disowns what we know about human emotions, and how we form opinions. I don’t want to suggest there is not a crisis, or that there is not, at least, a serious problem with how children are medicated for ADHD, which requires our consideration. However, I have grown weary of the back-and-forth. Weary of the way that excitement and worry are used to corral our attention, keeping us on a roller-coaster of shock and fear – because data are provided without context, and without discussion of the larger social issues that have brought on this situation in the first place. “Overmedicated children” is becoming a meme we can all feel righteous about. Yet what is anyone doing about it? Sadly, I have come to believe that many of us are complicit in this problem; most of us play some role in perpetuating the situation, and are at the same time victimized by circumstances that feel beyond our control. And so I have become interested in more transparency, and a greater appreciation of the complex factors that propel the problem. I am concerned you won’t like what I have to say. I am concerned that virtually everyone is more inclined to see themselves as a victim, rather than a perpetrator. I am concerned that some might think, “blah, blah, blah – let’s just fix the problem.” I am concerned that no such “fix” is remotely close. Despite these concerns, I believe we must examine how all groups involved in the ADHD treatment debate might intentionally or unintentionally enable the problem, and prevent progress from being made. The groups described below are presented in no particular sequence. I have no interest in trying to “blame” one group or another. The stakes are too high for this sort of squabble. And before you get too upset, I didn’t say “you” specifically. But if the numbers of overmedicated kids keeps increasing, we need to examine the gap between our ideals and our reality. Victims: Pressured to fix the problem now. Blamed by families for being uncaring when they hesitate to prescribe medication, and blamed by society when they act to intervene. Scapegoated by media for being too quick to prescribe even though there is no objective analysis of the examination and consultation that may lead to those decisions. Perpetrators: Prescribing medicine without sufficient follow-up; prescribing medicine without coordinating behavioral support, and in the case of primary care physicians and pediatricians, without expert input from those qualified to assess a child’s mental status. Relying too heavily on only parental reports and checklists provided by teachers. Over-prescribing medication to address the side effects of other medications. Victims: Ignored by medical specialists as peripheral to treatment. Getting inconsistent compliance from families with attending treatment. Being expected to resolve a problem as complex as ADHD in 8-12 sessions – as though there were some discrete set of skills that could be quickly acquired, and which would permanently resolve the problem. Perpetrators: Acting beyond the boundaries of professional competence. Requiring overly extensive and expensive neuropsychological testing that delays treatment. Failing to communicate with prescribing physicians about changes in a child’s mental status. Relying too heavily on behavioral modification and environmental accommodation, thus ignoring the emotional and interpersonal factors that influence attention problems. Victims: Being expected to educate children with serious and severe learning differences without sufficient expertise or resources; insufficient professional development in working with children affected by executive dysfunction. Being forced to build a curriculum, and comply with district mandates, that leave little latitude for the cognitive differences of youth. Having to cope with parents who express a high level of frustration and impatience, and who believe this is solely a school problem. Perpetrators: Expecting children, and especially kinesthetically-oriented students (many, many boys) to sit still for the duration of a school day; anticipating stillness as though that were a normal state of being for children. Bypassing professional evaluation by urging parents to get a child on medication ASAP. Offering few or no alternatives for children affected by inattention and limited working memory. Failing to educate teachers on processing differences related to executive function. Asserting that “Our school doesn’t enroll those sorts of students.” “Needing that much extra help is shameful.” Trying to keep students out of expensive intervention programs. Victims: Being blamed for a child’s inattention as though it is a failure of parenting. Being blamed for not having the time to respond to inattention effectively. Having to contend with a dysregulated child who makes it increasingly difficult to enjoy family time, and to adequately focus on other children. 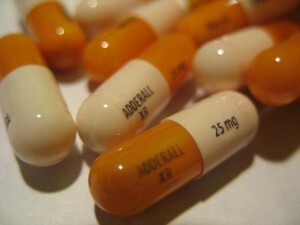 Being blamed for looking the other way as adolescents sneakily use psychostimulants in the interest of peak performance. Financial stress caused by evaluation and treatment costs. Perpetrators: Waiting too long to react to an emergent problem. Expecting that the management of a child’s attention in school is somebody else’s responsibility. Bringing a child for medical treatment, but then not following up with behavioral support. Asserting that “when I was a child no one needed these drugs.” This is both false (children have been taking these medications since the mid 20th century) and disingenuous (the tempo of the world has changed, and there are increasing demands made of children, exacerbated by the fact that parents have less and less time to spend with children). Fathers who get caught up in a psychological drama in which their sons are projections of their own self-worth, and who thus equate a child’s need for medication and therapy with weakness or inadequacy. Perpetrators: Using hyperbolic language to describe research findings; avoiding discussion of the larger context of research; being less concerned with an integrated reporting of content than with inspiring fear and concern. Assuming an amoral position on the reporting of major issues. Failing to report on the corporate self-interest implicit in pharmaceutical research. Denying any self-interest in the reporting of facts that may be perceived as alarming. Victims: Being blamed for rushing medicines to the market, even as various syndromes demand pharmacological intervention. Being expected to ignore profit as a primary incentive in the development of medicines. Demonizing pharmaceutical companies without acknowledging the risk they incur in developing medicines that are for children. Perpetrators: Reducing complex psychological problems to a so-called chemical imbalance. Presenting biased reviews of research evidence on the efficacy of medications. Trivializing side effects; using advertising to pathologize normal life experiences, contributing to a pandemic of self-doubt and worry. I am quite sure this list is not comprehensive, but everything on this list is a substantial factor in the synergy of ADHD diagnosis and treatment. The widespread use of medication is not something that has happened by accident, or behind closed doors. It is plainly disingenuous for doctors (such as those quoted in the NYT article) to pretend that they had no idea their colleagues were prescribing so frequently. It is also disingenuous for families and schools to pretend as if they have not encouraged and solicited a response on the part of medical doctors, because they have. As a culture – in schools and in families – we have not wanted to dedicate the amount of hours required to address executive dysfunction (ADHD) without medication. It’s not as though we don’t know how. And it’s not as though we can’t imagine how schools might be revisioned to accomplish this goal. But in the longer view of circumstances, those sorts of changes are more expensive and time-consuming than maintaining the status quo, including the prescription of relatively inexpensive medication. Like it or not, this sort of thinking is part of being an American. It is no less endemic to our national identity than believing each individual has a right – even a duty – to aspiration without limits. In addition, despite our concern about young people who use ADHD medication only to improve their chances of performing well on tests and school work, we continue to make the process of getting into a first-rate school pathologically competitive. Our cultural reflex is to emphasize the status to be derived from the next credential. Let’s not pretend that the current state of affairs is a shock. It is nothing but the most logical outcome of a collective effort to minimize the significance of children’s problems with self-control as an individual, medical phenomenon. For nearly a decade I have been emphasizing in my writings, and in mypresentations, that it is much more useful to think of attention as living in the spaces between us, rather than in our brains. But make no mistake, we are intent on the brain scenario. We are intent on thinking of inattention as a medical problem rather than a social one. Looking deeper requires scarce time, and the possibility of having to confront lifestyle as a primary culprit. If living better is a national obsession, living differently seems far less appealing to most. And by differently, I don’t mean simplistic suggestions such as kids need more exercise, or more time in nature. Indeed, both of those assertions may be true. But we need to address the existential questions of our society. Although doubt and self-examination are anathema to American sensibilities, this is the social medicine that childhood demands. The answer to the big issues we have with inattention and poor self-control lie in addressing the very substance of childhood, and the meaning of life before age twenty. When we provide young people with purposeful work, and an opportunity for life-based excitement and adventure, we begin to naturally remedy the problems with executive dysfunction and inattention. How much longer will we have to wait for this broad discussion? Will the most important issues be addressed by academic conferences, and those who command power over youth? I doubt it. What percentage of young people will have to be diagnosed with ADHD before we understand the cultural inevitability of this phenomenon? What degree of “crisis” is required to galvanize a broad public effort? The reason I don’t think that time is coming soon is not because we can’t do anything about the problem. It is because we have not begun a broader discussion about this issue. Medical information is extremely powerful. It seems more true than other narratives. Research denotes science, which in turn suggests a higher degree of truth to most people. Media persistently leverage that understanding. What we don’t think about is that scientific research is always selective, andalways begins with some hypotheses and not others. What we choose to study. and how we choose to study it, inevitably affects the outcome of what we find. We should embrace the science that is available to us, but we should also ask a broader range of questions, and be open to more diverse answers. ADHD has the effect of compartmentalizing a human being – as though attention and short-term memory could be separated from personality and the spirit of a living being. Every child I have ever worked with defies the shorthand of diagnosis. These differences are why we have to look deeper in the interest of understanding the whole child. Accepting that responsibility is the way out of being a perpetrator, or victim. Author and Drexel University professor Paula Marantz Cohen writes about the search for vocation among her students, and why her own nephew dropped out of an expensive East Coast college to pursue manual labor, in The American Scholar.